Dr Scott Diener (Professor Noarlunga, pictured) [http://scottdiener.edublogs.org/], at the University of Auckland, has created a simulated hospital emergency room where small teams of medical and nursing students can learn to diagnose and treat patients requiring emergency treatment. Sited on an University of Auckland island, appropriately called the Long White Cloud [ http://slurl.com/secondlife/Long%20White%20Cloud/31/39/28 ], the medical facilities are only one of several temporary and ongoing experimental developments, all aimed at using Second Life as an educational environment. The island project has been directed, created and currently ‘financed’ – almost single-handedly – by Diener, Associate Director IT Services for Academic and Collaborative Technologies at the university. A visit to the island demonstrates just what Diener has achieved from his sometimes frustrating “labour of love” with its initial goal of developing several “experimental” medical simulations (e.g. a hospital environment), along with interactive spaces for students and staff. The simulations already created relate to medicine, surgery, nursing, psychology, and disaster preparedness. Already instructors can assess “student” abilities in the diagnosis of instructor-determined medical scenarios in real time and it is planned to have real life actor/avatars play patient roles based on specific symptom/attitude etc scripts as a learning aid. Diener notes that medical students/interns from distant places could be tested in this way via broadband and Second Life without the cost of either traveling to a specific campus or the cost of having to “hire” and train actor- patients to “work” on a number of university campuses. Currently the ground floor of the Auckland University simulated medical school houses the Medical Clinic/hospital Emergency Room and related facilities (doctor offices). The Second floor houses an intensive care unit. The nursing unit being built in collaboration with Boise State University, US, will attempt to mimic the real-life nursing simulation environment at Boise. A study is currently being designed to compare the effectiveness of this environment against the Boise RL simulation. Diener has invited international participation in the simulations. Tim Shadbolt visited? Did he? Tim Shadbolt or only a facsimile? Now the paparazzi all know that Tim has been a major supporter of the Southern Institute but in handing us the picture above they just could not confirm whether it was him or not. But it sure looked like him. Dear reader we will leave it up to you to decide. There has been considerable discussion in Second Life business and education circles about “work spaces in a box” following the Linden Lab announcement that Rivers Run Red’s Immersive Workspaces 2.0, a comprehensive virtual world collaboration solution, is being made available on the Second Life Grid. The companies have also announced a strategic partnership to sell and market each other’s products, either individually or jointly, and to explore developing and deploying additional offerings for Linden Lab’s growing base of enterprise customers. Announcing the collaboration Linden Labs said that with enterprise use of the Second Life Grid on the rise, organisations were investing more in their virtual environments and moving mission critical aspects of their businesses into the virtual world such as distance learning, product prototyping and collaboration. “This migration has created demand for a solution that enables organisations to quickly implement, configure and populate a virtual world environment suitable for their needs,” Linden said. ” Immersive Workspaces meets these needs by pre-configuring workspace options and wrapping the Second Life Grid solution in a web-based framework rich with familiar tools and interfaces. “… Immersive Workspaces enables organisations to construct custom virtual work environments – including meetings rooms and design centers – that can dramatically change the way they collaborate and communicate. A set of tightly integrated web-based applications and the ability to seamlessly upload and integrate real world content – eg PowerPoint – brings enterprise-level efficiency and flexibility into a virtual world. For more information about Immersive Workspaces on the Second Life Grid please visit http://www.immersivespaces.com, http://www.secondlifegrid.net or contact business@lindenlab.com. 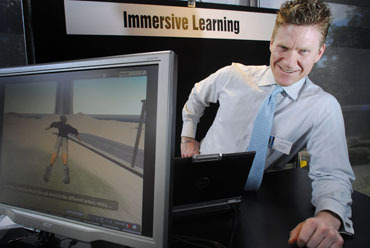 Difficult timing for Kiwis but this panel will bring together practitioners from four institutions that have experimented with using virtual worlds such as Second Life to enhance student learning. The speakers are:Tanya Joosten, Lecturer and Educational Technology Consultant, University of Wisconsin-Milwaukee; AJ Kelton, Director, Emerging Instructional Tech, College of Humanities & Social Sciences, Montclair State University;Deborah Keyek-Franssen, Director of Academic Technologies, University of Colorado at Boulder; and Wendy Shapiro, Senior Academic Technology Officer, Case Western Reserve University. Linden Lab, in partnership with ISTE, has a streamlined, educationally-focused starting point to Linden Labs for educators entering Second Life for the first time. The New Educators’ Pilot Program has been designed to ease entry into Second Life and provide a guide for educators who might at first be overwhelmed by the “rezzing experience” which can be made worse occasionally by some who appear to enjoy harassing new avatars as they appear on Orientation Island. The New Educators Pilot Program (sometimes referred to in ISTE circles as the Educator’s Experience Pathway) changes all that. The NEPP begins with a dedicated sign-up form (http://secondlifegrid.net/programs/education) that guides a new user through the registration process. Driving the innovation, said Kingdon, are global workforce needs, economic pressures, and carbon and cash concerns. Those drive users to stay home instead of travel for work, which promotes the use of innovative collaboration tools. It’s not all business, though. Social computing is going mainstream, broadband and more advanced hardware are pervasive, and sub-par substitutes for interaction, like video conferencing, are driving the need for alternative solutions, he said, noting that at Linden Lab, 20 percent of the staff work off site, spending their time in-world as a tool for collaboration. In New Zealand getting to international conferences can sometimes be difficult and expensive. With many leading educationists and Virtual World experts sharing their work, experience and ideas the videos at Eduverse website ( http://www.eduverse.org/index.php/symposium3) provide a sustainable option for those who could not get there. Among the presenters were“Philip Rosedale (former CEO of Linden Lab); Julian Lombardi (head of Opencroquet at Duke University www.opencroquet.org), Christian Renaud (virtual world guru), Chuck Hamilton (IBM Centre for Advanced learning), Karl Kapp (noted virtual worlds author), David Williamson Shaffer (founder of Epistemic Games), Tim Johansson (head of Opera 3D develeopment), Philippe van Nedervelde (Foresight Nanotech Institute) and David Burden (Daden Ltd). The highlight was the panel discussion of the future of all the major virtual platforms, including: Second Life, Opencroquet, Adobe 3D, DEEP, 3Dxplorer, ExitReality and others. 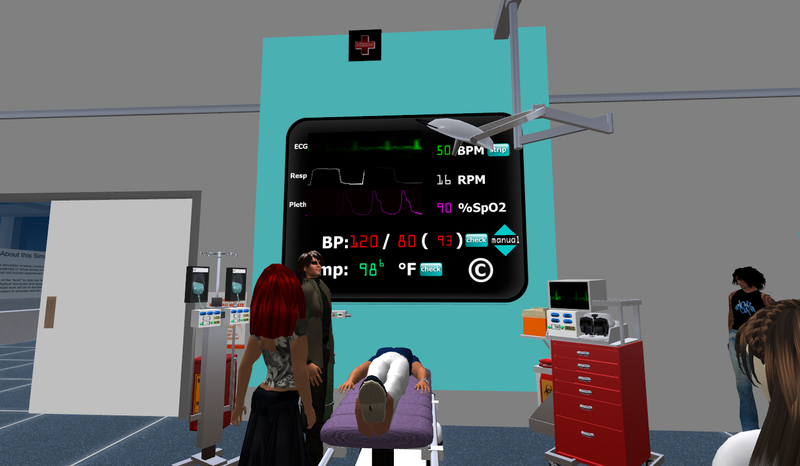 Students entering Second Life as virtual paramedics can assess and treat “patients” in the street by doing things such as checking their pulse, dressing wounds and administering drugs. They can also access a toolkit, including all the equipment one would typically find in an ambulance, such as oxygen masks and an electrocardiogram (ECG). After assessing the patient and giving emergency treatment, the students are able to decide how to get the patient into the ambulance and set a GPS device to take them to the hospital. Once they have reached the hospital, they submit handover notes on the patients, which are emailed to their real-life tutor for feedback. The Paramedic Science degree, in which the Second Life component is included, has a strong practical focus, with solving problems based on real-life scenarios forming a crucial part of the course. The application has been developed by St George’s, University of London’s e-learning unit as part of the PREVIEW project, funded by the Joint Information Systems Committee (JISC). It has been tested by both tutors and students. The story of Second Life’s Alliance Virtual Library and the Second Life spaces of the Alliance Library System volunteer educators and what has been done in promoting libraries in Second Life, was contained in a machinama used as an introduction to Bernadette Daly Swanson’s (HVX Silverstar) presentation at the Bridging Worlds 2008 Conference held in Singapore. The conference: http://www.bridgingworlds.sg/ with the conference slides at http://www.slideshare.net/bridgingworlds2008/slideshowsThe machima is entitled: “I am Library: an ode to self-discovery and collective creativity in Second Life.” The success of the Alliance Virtual Library has been such that it now has the virtual equivalent of 1.26 square miles in Second Life. 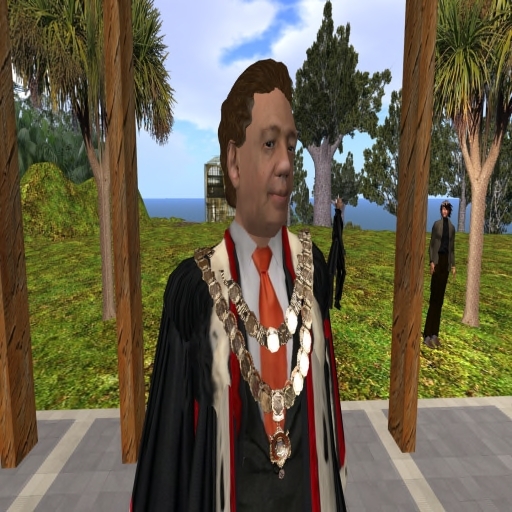 Second Life is not the only option for teaching, learning and other educational activities in virtual environments according to an autumn 2008 “snapshot” of UK Higher and Further Education developments in Second Life. But it is becoming more positively viewed as an education tool by UK educators who in general believe that virtual worlds will become a mainstream part of education over time. The report containing these observations, (http://www.eduserv.org.uk/foundation/sl/uksnapshot102008) summarises to October 2008 an important on-going investigation into the use and uptake of Second Life by UK Higher and Further Education. The survey’s main goals include: ascertaining the “state of play” of Second Life developments within the Higher and Further Education sector, discovering how these developments are supported, exploring functionality and determining the impact of these developments. The on-going survey – this the fourth report over 18 months – is funded by the five-year-old, UK-based Eduserv Foundation, which undertakes activities that support the effective application of information and communication technology in education. The foundation has committed funding to ten substantial research projects related to e-learning, one of which is this Virtual World Watch project. Responses to the survey were received from staff and research students in 36 UK universities and two colleges, two companies, and the Joint Information Systems Committee’s Regional Support Centres. With the theme that “Second Life is not the only fruit” in the virtual worlds the latest report sums up the views of a large number of respondents who have either carried out some kind of teaching and learning activity in Second Life, or were planning such events for the new academic year. These included collaborative learning and design, seminars, workshops, tutorials and induction courses. Several lecturers and supervisors, the report said, used Second Life to hold tutorials, or communicate with remote undergraduate or PhD students; a significant number of universities are carrying out research as to the effectiveness of using Second Life especially in teaching and learning. “Positive benefits were mentioned by the majority, such as student skill acquisition, ease of communication and the ability to meet peers one would otherwise not meet. Problems such as the amount of work required to run in-world sessions were also reported, the snapshot report said. As with previous snapshots, the two issues of obtaining funding for virtual world development, teaching and learning, and technical problems, predominated. Finally “Looking ahead, most respondents who chose to answer thought that virtual worlds were more likely to be a “mainstream” feature of UK education, rather than a “niche” or “novelty”. Many respondents, the report said, had used, or were considering examining, virtual worlds and on-line environments other than Second Life. 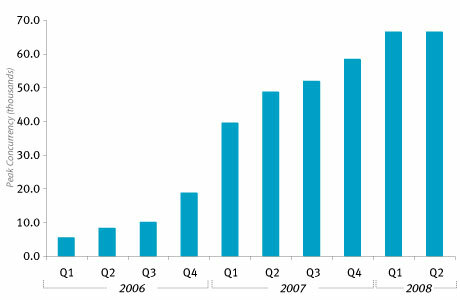 The three most mentioned of a dozen other applications were Google Lively, Wonderland and OpenSim. Lively, however, was found to be disappointing in terms of education-relevant functionality, Wonderland had considerable communication potential, and OpenSim had attractive options for creating a closed virtual environment. The question of whether cloud computing and thin personal computers can increase sustainability in an energy-greedy world is about to be answered by a small Australian husband and wife team with their US$100 Hot-E PC. “… you could put 50 of them in a classroom and they’re only using 3 watts each instead of 200 or 300 watts that normal PCs use,” the thin computer’s creator John Nicholls said recently from his home on Queensland’s Sunshine Coast. Although initially created with a focus on the third world Nicholls says he now envisions future revisions of the Hot-E being used as extra PCs in ordinary homes. But to me it could develop into the ideal hardware on which to mount the thin software of a Second Life style virtual world client (32mbs) if not via the so-called cloud. 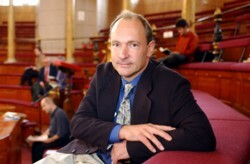 With his wife Jeanne he has developed the line of palm-sized personal computers containing the bare minimum of horsepower with most processing and data storage handled by a remote server accessed over the internet. Targeting cost- and power-conscious small and medium businesses, schools and developing countries where normal PCs are prohibitively expensive, impractical or draw too much power Nicholls has reportedly claimed his company ThinLinX, has just partnered a major, global software company. The ThinLinX website (http://www.thinlinx.com/) currently sells the thin range for A$250 each but Nicholls says he is now on the verge of launching a new, faster range, with the entry-level model selling for “just under US$100”. With the on-going improvement in broadband connections companies such as Google and Microsoft have already released software applications that live on the internet instead of locally on the user’s PC. Nicholls told the Syndey Morning Herald recently he envisioned future revisions of the Hot-E being used as extra PCs in the home. “If you had a media centre running in the lounge and it’s got a TV tuner built into it plus a hard drive that stores DVDs and movies … I could see kids sitting in the bedroom being able to watch TV, movies and play MP3s using the Hot-E,” he said. He didn’t mention the possibility of accessing multiple user virtual worlds or playing MORPGs on-line but given the right graphics card they just might answer the sustainability question posed by some academics about computer use in teaching and virtual worlds in particular. In FRI country … Red Chantilly Lace Dress by Xand Nagy. Picture by Callipygian Christensen. The agreement to implement a first-of-a-kind Virtual World Product Lifecycle Management (PLM) Enterprise System also will allow designers to connect to the OpenSim virtual world platform to create packaging and fashion products, provide efficient workflow queues, and allow groups with an interest in the product to collaborate and modify designs. The program will also generate virtual product samples and accurate factory specifications that enable high quality product mass-manufacturing in the real world. This virtual world enterprise solution, expressly created as a product design environment, will offer a fundamentally new work-flow system which will address critical issues facing the design industry, such as ensuring manufacturability of designs and decreasing substantial sample costs by two-thirds. Users of this solution will ultimately be able to enter a virtual world, receive training on the systems, and take a design from concept to prototype — with every step short of actual manufacturing being done virtually. FRI will offer an IBM-backed and co-developed enterprise solution providing a simpler and more intuitive user interface than currently existing design-industry-oriented software including scalability for businesses of all sizes. 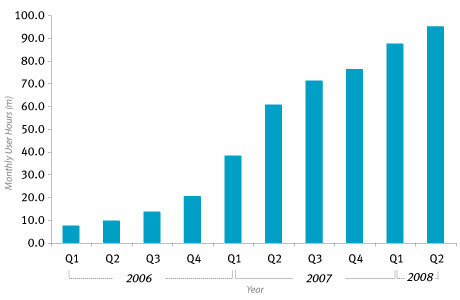 Users of the IBM-built technology could see product sample creation costs and time to market decrease dramatically. The initial proof-of-concept solution expected to go live in in the second half of 2009 will be piloted by up to 20 international design houses. Ultimately this solution will be offered as a design service or enterprise installation, to creative industry design houses of all sizes globally. One never thinks of accountants as being enthusiastic about innovation – it can put red on the bottomline – but Australia’s accountants have greeted the concept of Second Life with gusto. Their enthusiasm came after Australian Second Life residents Lee Hopkins (Lee Laperriere), an online communications strategist and Lindy McKeown ( Decka Mah), an educational consultant, presented the first Chartered Practising Accountants’ event in Second Life for the CPA Australian Congress. The presentation attracted Second Life accountancy professionals from Mildura, Tumut, Euroa, Tamworth, Cairns, Melbourne, Sydney, Brisbane, Perth and London, Liverpool, Detroit and New York. One of the CPA organisers, Alex Dalidakis, expresses the CPA delight at the success of the in-world congress and gives tips on how to run a congress in his blog. http://lovenumbertwo.blogspot.com/2008/10/running-second-life-event.html. Used for training people for work in hazardous scenarios such as mining, health and fire fighting, YAWL, among a clutch of new services fostered by the Smart Services Co-operative Research Centre, takes them into Second Life to give them a first taste of the risks they will encounter when they enter the workforce. The centre, groups 18 industry, government and research partners across Australia including the Queensland and NSW governments, with a seven-year budget of A$120 million, including a grant of A$30.8million from the Federal Department of Innovation, Industry, Science and Research. QUT is its largest academic contributor and the Queensland Government and its local partners (SAP, Suncorp and RACQ) have invested A$38 million. Other partners include UNSW, University of Sydney, RMIT, Swinburne University of Technology and the University of Wollongong and Infosys, Telstra, Sensis, Austin Health and Fairfax Digital. 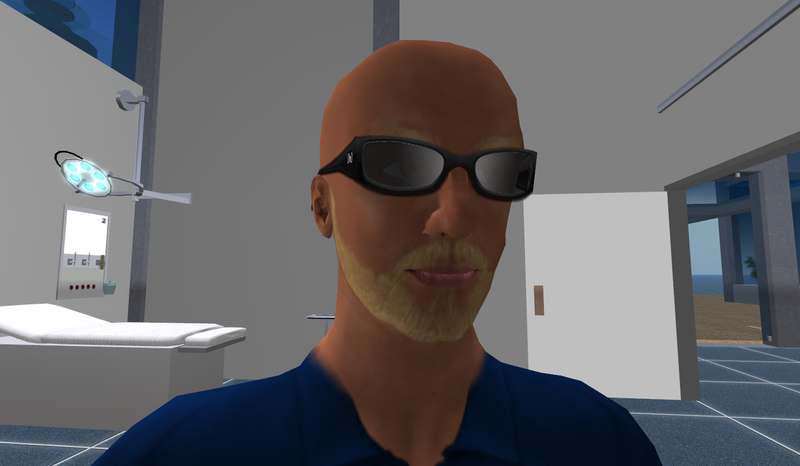 YAWL is the brainchild of QUT software engineering lecturer Dr Ross Brown, who says the way to create more effective lesson plans is to combine virtual worlds such as Second Life with workflow systems traditionally used to guide people through tasks within organisations. YAWL provides a simple interface that hides its complexities while exploiting the benefits of virtual-world technology. Dr Brown says YAWL allows educators and businesses to take the learning process to where the students and workers are. “We can use YAWL to create virtual, training environments for industries such as health, mining or fire fighting where the actual danger is removed but people can train in a realistic environment,” he said. Another use is the provision of One-Stop Personalised Financial Services project, involving SAP, Suncorp and QUT researchers, to help bank customers with their financial planning. Educators and their institution administrators often question just where virtual 3D world technology is going. Many put off dipping their toes in the water for this reason. There are promoters, detractors and fence sitters. A recent SLED debate, however, has come up with some interesting “rants” on just where immersive worlds are going and what the future for education within them is. None was more interesting than that of wellknown – in immersive VW education circles – than that of Modesto, California’s Stan Trevena (Quidit Small), in what he described as a”rant” on future virtual world developments. Noting that all SLED debates on the future developments of virtual worlds were focused on Second Life, the Second Life beta tester said he believed inside of four years educators will be hosting their own servers behind their own firewalls, and “not all of us will choose OpenSim”. But, he added, it was at least another year and a half before the first viable alternatives to Second Life would emerge. But even though everything was moving towards the Internet becoming the Metaverse and webpages becoming grids, he said, unless there was a breakthrough with Grid/Cloud Computing none of the models (including Second Life) could be scaled to the sizes necessary for mainstream adoption. “Someone will come along and do for avatar transport what IBM did for eCommerce in the 1990s,” he said. “You will have a core avatar that is your personal (and verifiable) identity. Dropping into different worlds you will be able to take on alternative identities while still keeping the link to your assets and identity. We’ll get there in less than 10 years. Early attempts at this will take place inside of five years. “Private individuals and small business will be able to pay monthly fees for services to host anything from a personal space to a full size grid. Some of these will be business and education-focused with heavy emphasis on applications, collaboration and communication. Others will be more like the fantasy MMO’s of today. Expect all the same advertising as you see on the web now to offset costs and drive traffic in these future grids. And all of these will move to industry standard 3D file formats for compatibility issues. If I want to bring my ‘Legendary Sword of Knowledge’ from World of Starcraft back to my OpenSim property to show it off to my guild, I’ll be able to do that. “Second Life as it exists today has hit its limits,” he said. “Until there is a major shift in the infrastructure (database) and underlying design we will continue to be stuck in sub-100k concurrent user ceilings. The performance of the avatars in Second Life pale in comparison to ‘games’ of today … portability will become more important in the equation, again pushing towards a OS and device independence. Even at this early of a stage in Wonderland’s development upgrades to the client are a no brainer and everyone gets them on their next log-in because it’s web based. Version 0.5 will be out after the first of the year, early look videos in the next month or two. We’ll have to see how the new avatar skeletal system is implemented. a distributed/federated model and for asset-retention while visiting different worlds. “It just seems to me that we hear about some new development or world almost every day (Wonderland, Croquet, Qwaq, OpenSim, IBM teleportation, Forterra, sandbox games like GTA 4, Google Lively, ExitReality, Ogoglio, etc., etc. ),” he said. ” I just visited Prototerra last week. It was intriguing. They can handle an ‘infinite’ number of avatars in a space by setting a max number of avatars in a space to X and then duplicating the setting instantly at X+1. IBM and and the Beijing Palace Museum’s recently opened Forbidden City Virtual World is nothing short of a technical tour de force even for one who has ceased to be surprised by achievements in Virtual Worlds. This is despite the Windows download for this new Virtual World being a fairly massive 204MB and needing 2GB of free disk space for installation (The Mac OS X and Linux installers also probably have similar space needs.). The VW, celebrating 600 Years of Chinese Culture, also requires a good graphics card and monitor with a minimum screen resolution of 1280 x 1024. IBM, is believed to have invested more than three years and $US3 million in developing the similation of the 178-acre historical treasure. Named the “The Forbidden City: Beyond Space & Time”(http://www.beyondspaceandtime.org/FCBSTWeb/web/index.html#link=) it is a meticulously built virtual recreation of the architecture and artifacts of the former palace grounds. Announcing the VW opening, staged to coincide with the Palace Museum’s October 10 celebration of its 83rd anniversary, Henry Chow, chairman, Greater China Group, IBM, said, “The rich cultural heritage of China’s imperial past, embodied in the Forbidden City for over five centuries, is now brought to life and accessible to all through a virtual world created by IBM and the Palace Museum.This initiative takes the online experience to a new level of innovation with rich content, educational storytelling, community and social networking features that represent the next generation of 3D-Internet applications. Users can register their own avatars, though selections are limited, go on guided tours with other users, and participate as well in a 2D social network-style community. Originally, the Forbidden City was constructed to embody the idea of the emperor as the center of the universe with a series of dramatic courtyards and gates, buildings and landings underscoring a design built to reinforce security and power. This huge palace complex was completed in 1420, about twelve years after construction began, and contains hundreds of exquisite buildings and historic artifacts. The question of whether an avatar/student is really paying attention, a problem or just “lurking” is one Sabine Reljic/Willow Shenlin is attempting to answer within her Centre for Social Presence. the answer, however, might be provided by a number of unique products if not on the market just about to reach the market. In a recent SLED communication Reljic asked, “Are you annoyed at the afk around you when you teach? Ever wonder what ‘engagement’ really means? Do you know that an avatar-instructor’s behaviors influence students attention, motivation and learning? Want to learn some moves? Need colleagues to bounce ideas? Do you know why ‘bumping” is such a successful informative activity?” She was promoting her worthwhile centre’s first meeting “Introducing the Center for Social Presence” at 5-6pm SLTim,e Tuesday, October 14, at Meadowbrook 48, 202, 22 (Center for Social Presence). Meanwhile Emotiv Systems – a company founded by four Australian scientists in 2003 but now based in San Francisco – plans to market its $A300 wireless “neuroheadset” called EPOC to PC users late this year. The device uses 16 sensors that press lightly against the scalp to monitor electrical activity from the brain and face. A built-in gyroscope tracks head movements to control a cursor or viewing angles. Although the brain-sensing technology – electroencephalography or EEG – has been around for decades Steve Prentice, a vice-president at technology research firm Gartner says Emotiv has been smart to start with the video game market. Emotiv has already piqued the interest of IBM, which is testing how the headset may work with virtual environments. “As interactions in the virtual world are becoming more complex, mouse and keyboard alone could soon not be enough,” says IBM spokesman Steven Tomasco. 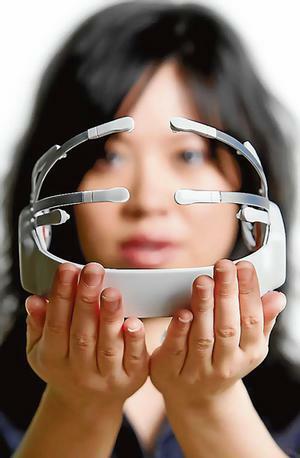 Emotiv’s headset can detect more than 30 expressions, emotions and mental “actions”. They include feelings, such as excitement and frustration, expressions, such as raised eyebrows and clenched teeth and thoughts about movement, such as pushing, pulling, lifting and dropping. Visualisation techniques also can make in-game objects vanish. Another company, OCZ Technology Group, began offering its Neural Impulse Actuator for gamers earlier this year. The device, selling for about $160, is a headband with three sensors that rest on the forehead, detecting electrical signals from movements such as a furrowed brow or a blinking eye to control on-screen action in PC games. It seems in future educators might have little trouble in, if not getting right into the minds of their students, at least knowing there is someone there on the other side of the screen and what they might or might not be doing. 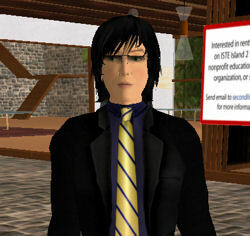 The public perception of anything on a computer with avatars – be they cartoon stick figures or the carefully-crafted, lifelike personnas of World of Warcraft, Warhammer or Grand Theft Auto – as being a game causes considerable angst among educators, academics and even businessmen wanting to do something serious with virtual worlds, like Second Life. I must admit that when I first became a resident of Second Life some three years ago I saw it as an entertaining and relaxing game where I could create a young, goodlooking avatar who would make all the mistakes I made as a 20 to 30 year old (or fantasized about) but enjoy them more. For me Second Life became like a tavern where I could socialise with people around the world who were “role-playing” – one might say hiding the truth about our real lives, if not actually lying – just as much as I was, even though most of us never saw ourselves as actual roleplayers. 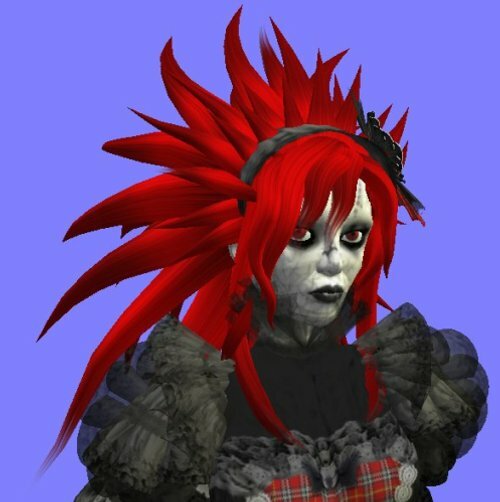 Our fantasy avatars – one seldom sees a an untweaked, real life avatar in SL – the clothing we wore and wear and even our homes were and are probably less dreary than our reality. But after a few months in the “game” when SL friends took on real personnas and I saw the effects of “prototyping” (the Proteus effect as the Daedelus Project describes it http://www.nickyee.com/daedalus/archives/001569.php) I began to realise that Second Life was more than a game: that people could be hurt and could hurt, that people could learn and people could change through the process. That was my personal experience. But for educators there is no doubt the question of whether Second Life, or any other multi-user virtual environment where players interact, is a game, is a vexed one, as is the question whether they are not downright harmful and possibly addictive. “Games created solely for educational purposes often have their content boiled dry as old bones, all the fun ripped from them in order to create “serious” games,” she says. She might have added “boring” and “politically correct” and a “real turn-off”. “Fun” in education, she said, was often viewed as being suspicious – anything lighthearted or playful was seen as not “serious”. Her reasons for viewing Second Life as “not a game” are sometimes simplistic but all the same worthwhile reading. Global Kids Inc. has released its first report from RezEd (www.RezEd.org), the Global Kids’ 1200-member hub for learning and virtual worlds – but its not only for kids. It also has relevance for those looking at tertiary and adult education within virtual worlds. The report summarises the range of activities and discussions taking place among those on the cutting edge of education, whether through commercial platforms like Dizzywood and Second Life or educational ones such as Quest Atlantis. The report highlights material produced for and by the RezEd community, including a range of MacArthur Foundation grantees, among them James Paul Gee, Sasha Barab, and Linda Burch. In addition A Report on Ethics and Virtual Worlds is introduced by a team from Harvard University’s GoodPlay Project. In association with the release of the report, a special podcast explores the issue of Ethics and Virtual Worlds from the broad perspectives of the diverse RezEd community. The podcast includes an introduction by Sam Gilbert of the Good Play Project and audio excerpts from RezEd podcast interviewees. For those of you still looking for the best simulations/visualisations in Second Life the Sprott-Shaw EEEL System (Emulated Electricity on Electron Level) electronics work bench is something to behold. 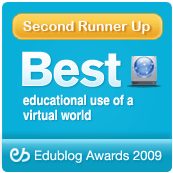 An invitation has been issued on the SLED list for those interested in joining an European peer-to-peer learning progamme on the use of multi-user virtual environments in education. 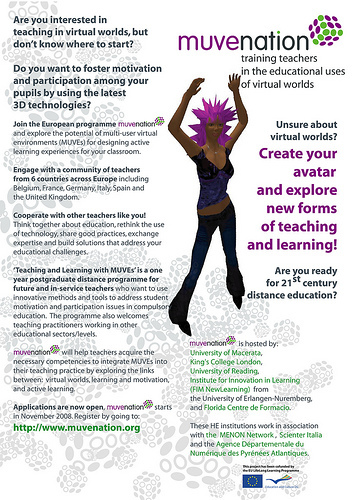 The European-funded MUVEnation project is now launching ‘Teaching and learning with MUVEs’. This is a one-year postgraduate programme, delivered online, for future and in-service teachers who want to use innovative methods and tools to address learners motivation and participation issues in compulsory education.